The House tax bill released last week promises “unprecedented simplicity,” “fairer taxes,” and “the beginning of the end of our nation’s broken tax code.” Simpler, fairer, and unbroken are, of course, in the eye of the beholder. Certainly, reducing the paperwork of 90 percent of taxpayers so they can merely fill out a postcard tax return is simpler, but at what cost to society or to the ability of charitable nonprofits to advance their missions in communities? A judgment on fairness depends on how someone’s finances, quality of life, and well-being are affected. And while the system is clearly broken, as well as inconsistent, it appears that the Tax Cuts & Jobs Act is just another collection of special-interest giveaways rather than a real fix for everyday Americans. 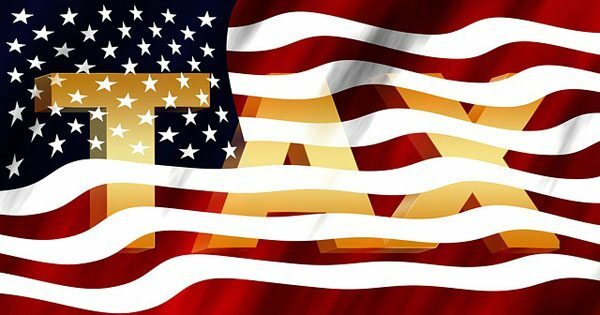 To briefly recap, the Tax Cuts & Jobs Act would lower tax rates for many individuals, repeal numerous taxes like the alternative minimum tax and the estate tax, and significantly reduce taxes paid by corporations and partnerships. To pay for these and more tax cuts, the entire Internal Revenue Code was picked up and shaken so that only the provisions with the strongest lobbying power remained stuck to the Code unchanged. Yet it comes up $1.5 trillion short of balance—foreshadowing enormous spending cuts for at least the next decade. A careful review from the nonprofit perspective finds that the proposed tax-law changes range from bad to awful. This article parses various details to help readers determine into which of these categories the changes belong, applying the twin nonprofit bottom lines. That is, the article is written from the dual perspectives of charitable nonprofits: 1) mission-driven organizations that care as much or more about the people and communities they serve and the causes they advance as they do about 2) themselves as entities with employees and bills to pay. Stated another way, for charitable nonprofits it is always (or better be) about the mission first and organization second. Before deciding whether to support or oppose the bill, people should slow down to look at the facts. Unfortunately, that is at odds with the fact that there is little time to use your voice because this bill is moving at lightning speed. The House Ways and Means Committee will take action on the bill beginning today through this week, and the full House is expected to vote up or down on it next week. The Senate is also expected to come out with its competing tax reform plan in the next two weeks. Here’s what’s at stake. While a few may believe that a passion for partisan politics is (and should be) a way of life, the vast majority of the charitable nonprofit community, including houses of worship, and foundations vehemently oppose any changes to the Johnson Amendment, the decades-old law that has proven successful in protecting 501(c)(3) organizations from demands from candidates for public office and donors for political endorsements and campaign contributions. To most of us, nonpartisanship is the only way charitable organizations can provide a safe place for bringing all beliefs to advance their missions of solving problems in their communities. Nonpartisanship is essential to charitable nonprofit existence. The House tax bill ignores the strongly articulated views of tens of thousands of people and organizations by including a provision (§ 5201) that would create a gaping loophole in the absolute ban on nonprofit politicking by enabling churches and integrated auxiliary organizations to endorse candidates for public office when communicating “in the ordinary course of the organization’s regular and customary activities,” such as speaking on weekly or daily religious broadcasts, and when spending “not more than de minimis incremental expenses,” an undefined term. On the day the legislation was introduced, the National Council of Nonprofits stated, “The constitutionally suspect change proposed in the House bill would destroy the safe space where people can currently come together, ignoring party labels, to worship and solve community problems.” This isn’t hyperbole, but reasoning grounded in experience. If enacted, the provision would politicize houses of worship and related charitable organizations, plunging them into the caustic partisanship that bedevils our country. Notably, the proposal would encourage creation of sham religious organizations, divert contributions from other nonprofits to fund partisan churches, and bring discredit to the broad charitable nonprofit community. The Joint Committee on Taxation (JCT) appears to agree with this assessment. It estimates that the Johnson Amendment exemption in the tax bill would cost the US Treasury $2.1 billion between now and 2027, or about $210 million per year. Since the hit to the Treasury ($210 million/year) is only a third or a quarter of the actual dollars donated, that means the JCT analysts assume claims of new itemized charitable deductions of between $600 million to $800 million every year for ten years. This adds up to more than a billion dollars in new revenue to partisan churches per two-year election cycle so they can engage in election-related activities. Likely, this would include diversion of monies currently donated to political action committees (that must be disclosed by law) and social welfare organizations (undisclosed) but which don’t provide donors with a charitable tax deduction. The estimate presumably doesn’t include shifts in funding away from nonpartisan charitable organizations that are focused on their missions to instead fund newly politicized churches that reap financial reward for endorsing candidates and attracting partisan donors who previously just supported good works in their communities. This proposed change conflicts with the views of the vast majority of organizations that benefit from the Johnson Amendment and want it unchanged, as reflected in the Community Letter in Support of Nonpartisanship, signed by more than 5,500 organizations in all 50 states, in the Faith Voices letter signed by more than 4,000 faith leaders, in the separate letter signed by more than 100 denominations and major religious organizations, and the law enforcement community, as well as polls showing that 72 percent of the public support keeping the Johnson Amendment in place and nearly 90 percent of evangelical pastors who say it is wrong for preachers to endorse candidates from the pulpit. Nonprofit Bottom Lines: Dollars diverted from public good to political ambitions; expansion of corruption in the 501(c)(3) space; exploitation of “sanctuaries” for political gain; public faith undermined. There’s not enough lipstick to gussy up this pig. The tax reform bill should be defeated based on this one provision alone. For good or for bad, the charitable tax deduction is always the big Kahuna for many nonprofits. The House tax reform bill would nearly double the standard deduction from $6,300 to $12,000/individual filer and from $12,600 to $24,000/couple. Single filers with at least one qualifying child could claim a standard deduction of $18,000. These amounts would be adjusted for inflation. Experts predict that after this change is implemented only five percent of taxpayers will itemize their deductions, meaning that 95 percent of taxpayers would receive no tax incentive for donating to the work of charitable nonprofits. Una Osili of the Lilly Family School of Philanthropy at Indiana University estimates that change would lead to a reduction of up to $13 billion a year in charitable giving, and 28 million fewer Americans itemizing their returns, according to a recent interview on NPR. She says she doesn’t expect these people would stop giving, only that they’re likely to give less. Not everyone agrees with these estimates, and the hit would not be felt equally among all nonprofits. Narrowing the charitable deduction so it applies only to the most wealthy will likely encourage an even more uneven giving landscape, resulting in a further imbalance between large gifts to large institutions, such as higher education, and the often smaller gifts received by community-based organizations that benefit everyday people, every day. Additionally, as you can read below, many in the sector have been advocating for a universal tax deduction to support giving from all income strata. Nonprofit Bottom Lines: The bill could arguably reduce charitable giving by up to $130 billion over the next decade. It also does nothing to provide incentives for donations from lower-level donors. So What’s Left of Itemized Deductions? Mortgage interest would be preserved for existing mortgages, but limited to loans of $500,000 or less for future home purchases. This is a reduction in the cap from $1 million today. The Realtors and Home Builders associations have come out swinging in opposition. Property taxes could still be deducted, but only up to a new cap of $10,000. Note: If someone has a loan on their home, the bulk of the $12,000 annual standard deduction would be consumed largely by their mortgage interest and property taxes, creating very little, if any, incentive to make charitable contributions. Charitable contributions in general, and proposed changes: In addition to continuing “the deduction for charitable contributions so people can continue to donate to their local church, charity, or community organization,” as the Republican news release asserts, the legislation proposes a few positive changes. It would raise the limit of cash donations that individuals can deduct from 50 percent of adjusted gross income (AGI) to 60 percent of AGI. It also would eliminate the “Pease limitation” on itemized deductions that imposes deduction limits for high-income individuals and couples. These changes would only benefit the small percentage of taxpayers who would still itemize their deductions. The bill would also address a longstanding inequity in the law by adjusting the volunteer mileage rate for inflation, as long has been done for paid employees in all sectors. This rate has been fixed at 14 cents per mile for many years and does not reflect adequate respect for the service of volunteers who, for example, deliver meals and provide rides to the doctor for elderly persons. In another element of legislative cleanup, the bill would repeal a law that exempts nonprofit donors from having a written acknowledgment from a nonprofit if the nonprofit provides the donor’s social security number and other information to the IRS in its tax filings. Relying on this provision of the tax code, the IRS in 2015 sought to create a new gift substantiation rule that encouraged nonprofits to collect donor social security numbers, a clear breach of identity theft protocols of every government agency. The 2015 proposal was withdrawn quickly after the nonprofit community forcefully pushed back against it. No Universal Deduction included…yet: The bill does not include a new deduction sought by the nonprofit community—a universal or non-itemizer deduction that would enable all Americans, not just five percent of taxpayers, to receive a tax incentive for giving back to their communities through charitable donations. Language that many nonprofit advocates are supporting is found in the Universal Charitable Giving Act (H.R. 3988), which would provide a deduction with a cap of up to one-third of the standard deduction ($4,000/individual; $8,000/couple) for taxpayers who do not itemize. Nonprofit Bottom Lines: Nearly doubling the standard deduction greatly narrows the pool of those who would be eligible for a tax incentive to give more to their communities. The additional limits on itemized deductions will only complicate the efforts of charitable nonprofits to generate the revenues they need to advance their missions. Long on the Republican chopping block, the estate tax takes two hits in the House tax bill. Immediately, the bill would double the exemption from the estate tax (to about $11 million for individuals and about $22 million for couples) for the first six years. It would then repeal the tax in 2023. This is significant for nonprofits because charitable donations and bequests are exempt from the estate tax, creating an incentive for wealthier taxpayers to give rather than have their estates taxed on that money. A higher exemption will mean that fewer estates will make large bequests to nonprofits (or create new foundations) for tax purposes. More importantly to many, the elimination of the estate tax would reduce federal revenues by $172.2 billion over 2018–2027, ultimately forcing deeper spending cuts. Nonprofit Bottom Lines: Estate tax repeal hits both nonprofit bottom lines, in that the need for stable governmental finances and sound nonprofit finances are directly affected. By various estimates, the House legislation would cut taxes by $4 trillion to $5 trillion over a ten-year period, but only increases the federal deficit over a decade by $1.5 trillion, give or take a few billion dollars. This supposedly is done by repealing loopholes, “eliminating costly deductions that drive up taxes,” and, in numerous ways, targeting tax-exempt entities with a host of revenue raisers. Nonprofit college and university endowments (§ 5103): The bill would impose a new excise tax of 1.4 percent on net investment income of nonprofit colleges and universities with assets (not counting those used directly in carrying out the institution’s educational purposes) valued at more than $100,000 per full-time student. The proposal that reportedly would apply to more than 150 institutions, would raise $3 billion. It might be tempting for other nonprofits to lay low and consider such a tax to be just a problem for rich colleges and universities. Recognizing that the congressional quest for new revenues is a permanent journey, the breach of nonprofit independence should be taken seriously, and opposed, by all. Such an action is like Congress telling Boeing, Citibank, and IBM—or small businesses—how to spend their money. Corporate America would never allow governments to infringe on their independence like this, nor should we allow it to happen to nonprofits. This proposal is just the first step on a dangerous slippery slope, a precedent potentially without end. Foundations, for example, rely on earnings from investment funds to fulfill their obligations to provide grants for charitable works. We must remind lawmakers that well-managed nonprofits maintain reserves so they can adjust to changes or seize new opportunities. Certainly, alumni and individuals can pressure colleges and universities to provide more scholarship support and invest more to benefit their local communities. But boards of organizations, not politicians, must remain the decision makers when it comes to charitable and philanthropic assets. Foundation excise tax streamlined (§ 5101): The newly proposed private college endowment tax is modeled on the way the House bill would streamline the existing excise tax on foundation investment income. For years, private foundations have complained that the existing two-tier excise tax—based on pay-out rates and rolling averages—frustrates funding in times of greatest need and injects complexity where it is not needed. The House bill largely agrees with the positions stated taken by foundations by converting the excise tax into a single rate of 1.4 percent. In recent years, foundations had lobbied for a tax rate of one-percent, so the level proposed in the House bill is a good step in the right direction and a partial disappointment. It is also a moneymaker for the Treasury, taking from tax-exempt foundations a projected total of about $500 million over the next decade. Nonprofit executive compensation (§ 3803): The legislation would raise an estimated $3.6 billion to pay for other tax cuts by imposing a 20-percent excise tax on high salaries paid by tax-exempt organizations. The new tax would be assessed on compensation in excess of $1 million paid to any of the tax-exempt organization’s five highest paid employees for the tax year. This provision applies to charitable nonprofits and foundations, and all 501(c) organizations such as trade associations and unions. A similar tax is applied elsewhere in the House bill to for-profit employers. For several years, members of Congress have discussed altering the definition of unrelated business income for nonprofits. One set of proposals offered by former Representative Dave Camp, then-Chairman of the Ways and Means Committee, would have altered how UBIT was calculated and imposed new liabilities. The Camp Draft remains a smorgasbord of tax reform ideas that remain in play, even this late in the process. Nonprofit Bottom Lines: Keeping in mind that many of these “revenue raisers” are included in the bill to help pay for additional and bigger corporate and other tax cuts, nonprofit opposition to new taxes on tax-exempt entities isn’t merely squealing when gigged; it’s a recognition of the old adage: The number one job of a politician is to spend other people’s money. Here, Congress is threatening to invade the board rooms of nonprofits (seizing endowment earnings) and human resources departments (taxes on compensation and restricting benefits). These taxes trample nonprofit independence, something that all tax-exempt organizations should defend against, not just those that are directly affected. Ways and Means Committee Chairman Brady claims that the bill would streamline “higher education benefits to help families save for and better afford college tuition and other education expenses.” Education groups think differently. “Taken in its entirety, the House tax reform proposal released today would discourage participation in postsecondary education, make college more expensive for those who do enroll, and undermine the financial stability of public and private, two-year and four-year colleges and universities,” according to Ted Mitchell, president of the American Council on Education. The bill would do this by ending student loan interest rate deductions, restructuring the American Opportunity Tax Credit, eliminating tax benefits for students who take more than five years to graduate, and part-time and graduate students, according to Inside Higher Education. Further, the legislation would eliminate a section of the tax code that allows employees of nonprofit universities and colleges to exclude from taxable income qualified undergraduate tuition reductions they, or their dependents, receive from their employer. The Ways and Means Committee took pains to point out that their bill “retains the low-income housing tax credit” in current law that “encourages businesses to invest in affordable housing so families, individuals, and seniors can find a safe and comfortable place to call home.” In fact, the reduction in the corporate tax rate could have an impact in how much investment goes into the Low-Income Housing Tax Credit (LIHTC). Further, the bill would eliminate the new markets tax credit, which is an important source of low-income housing for nonprofits like Habitat for Humanity. Nonprofit Bottom Lines: It’s not enough to do good work in communities and promote positive policies that improve lives; tax reform shows that when big money is spent by big money interests, merit has little meaning in the face of budget accounting ledgers. By imposing more burdens on students and low-income people needing affordable housing—while cutting corporate tax rates so much—the tax bill expands inequities and deprives many individuals of a better future, which will come back to harm society as a whole while imposing additional burdens on charitable nonprofits. The cost of tax reform is too high if children cannot get the food, shelter, education, and support they need. The price is too great if citizens can no longer find a safe haven in charitable nonprofits like houses of worship from the caustic partisan politics ripping our country apart. And we as a nation cannot afford tax reform if it forces our government to make false spending choices between the domestic needs of our people and our common defense. Fixes are readily available to overcome these and many other fatal flaws in the tax reform bill released today, but it will require reasonable people in Congress agreeing to agree for a change. David L. Thompson is Vice President of Public Policy for the National Council of Nonprofits and former senior staffer for the Senate Health, Education, Labor & Pensions Committee.